Badhands is the musical project of Dublin songwriter and musician Dan Fitzpatrick. His recently completed debut album, entitled ‘Predictable Boy’, began as a collaboration with producer and bass player Tom Cosgrave (The Minutes), then quickly evolved in to a more expansive project with the enlistment of multi-instrumentalist Aoife Ruth, drummer Ken Mooney, and engineer Chris Barry. The end result is a collection of vivid, textured songs that range in tone between dark and brooding to frantic and energetic, with moments of genuine euphoria weaved in to the mix. With a strong focus on lyrics and vocals the album echoes at times the likes of Nick Cave and The Bad Seeds, Leonard Cohen, and Villagers. The record is beautifully intimate but also has an accessibility that will quickly capture the imagination of the listener. 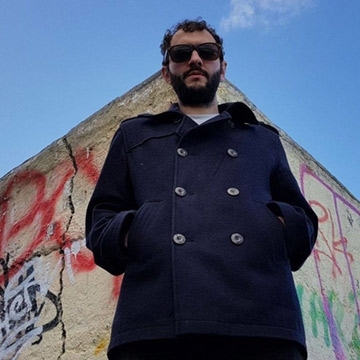 ‘Predictable Boy’ marks Fitzpatrick’s first venture as a solo artist, having previously worked as a musician and songwriter for years with the likes of The Mighty Stef, The Last Tycoons, Paddy Hanna and Maud in Cahoots. The album is set for release on November 9th 2018 with a Dublin launch show at The Workmans Club on November 17th and a nationwide tour.